Sarah’s laughter at God’s promise may have been delight, but more probable, it was doubt. Even so, God did as he promised and Isaac was born to Sarah and Abraham within the year. Despite Sarah’s laughter over what was humanly impossible, God later commends her for having faith, Hebrews 11:11. Although she doubted, she apparently had enough belief so that God would later esteem her for her faith. 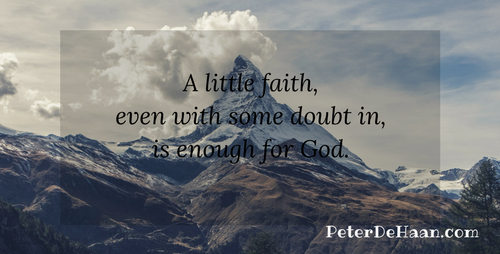 We may not have immense faith, but a little faith, even with some doubt sprinkled in, is enough for God.